There are 16 reviews of Ambrarem. Ambrarem is sea witchery, seductive in its ebb and flow between marine depth and radiant warmth. The start is elemental: watery flesh of gourd; slick, prehistoric petroleum carrying both mineral and animal qualities; a bristling, gaseous air; and something like toasted nori. It is bracing and heady—unusual, to be sure. For the first hour, the perfume on my skin is bright and funky. It beguiles, like a siren, drawing the wearer off more commonly tread pathways in contemporary, even niche, perfumery. To my senses, oud is a note that flexes to whatever interest the designer expresses. Which is to say, that I’m left only to believe or not believe when I’m told it appears in a scent, because it seems oud might smell like anything along a spectrum of preciousness, dryness, sweet, fungal (all of which are present here). It is not a powerfully woody scent overall, but rather, ambergris pervades. The rarity of real ambergris in modern fragrances indicates that it is also mostly an invented accord of aromachemicals, as abstract as remembering. These dimensions are fantastic in their fantasizing. Wet board, pale shimmering grey, wafting through darker juice. Castoreum’s furriness is cloaked around these constructions. This curious array of notes might be too strange to wear, but for the weirdly sweet bed of mid and base notes upon which they are presented. Even still, online reviews suggest that Ambrarem is too challenging for some wearers. Ambrarem forgoes any candy floss sugar, preferring a heavy resin-syrup that anchors the fabulous notes which comprise this journey. A saffron element emanates with a Southern-sweet-tea dimension, accompanied by an even, plainspoken vanilla that appears adeptly in many of the Histoires parfums. Most of all I’m comforted by that persistent, lustrous amber that shines beneath the magical tempest of this scent. I wear Ambrarem on colder days, but of everything in my collection, I try to get away with spraying it at least on my wrists as the season turns hotter. I am naturally drawn to earthy tones and smoke, to wood notes that are so deep they sing of violence rather than the usual harmonies of fragrant wood types. And I love thick nectarous rose perfumes and florals of that nature. Here the shades of these things successfully intermingle to produce magic; granted there are no floral notes listed, but the surge of ambery sweetness gives Ambrarem that aspect. I feel grateful that Histoire de Parfums can offer something so out of the ordinary and unusual that still, like the best perfumes, reaches out to some secret recess of the wearer’s mental makeup. A perfume of communion. Softens considerably over the course of the wear and snuggles up just fine. Ambrarem opens with a beautiful, powerful, evocative powdery-chypre accord of amber, a resinous note which to me smells almost like olibanum (the elemi? ), a waxy, buttery note of iris, balsamic-earthy green notes and something underneath which may be oud and something dustier like dry tobacco or other woods. Elegant and pleasantly noble, with an intricated personality ranging from dark and gloomy to the mature and self-conscious sensuality of a classic "poudré" scent, warm, rich and nostalgic, softened by amber which creates a dusty, warm, sweet cradle for the heart of the scent. In the middle there is also a herbal-fruity accord with a sort of earthy bittersweet feature that kind of reminds me of rhubarb, and that I guess is maybe due to spices and red pepper. I miss a bit the sandalwood note which is supposed to be there. The evolution leads towards a smoky-earthy drydown, with a fascinating gradual progression that comprises a sort of an arising fog that slowly captivates and envelops all the warm and sweet initial notes in a dark oud aroma – a discreet, pleasant, smoky and gentle oud note. Complex but incredibly mellow and harmonic, yet somehow not memorable (I don't know why exactly, just a feeling - all notes are kind of "ordinary", good but nothing really new or "wowing") but surely pleasant. One of those scents I personally would not rush out home to buy right away, but surely I would at a bargain discount sale. I cannot not love this fragrance. I've tested Ambrarem over the course of 3 samples and each time I fall more in love with it. Right off the bat I get a huge oud/iris combo that is almost saccharine with a heavy dose of castoreum underneath it. This initial phase lasts for about 1 - 1.5 hours and will turn some people off because of how animalic and oudy it is in this initial phase. But then comes the dry down and this is where the magic happens for me. Starting at around 1.5 hours in the iris begins to fade and the amber comes up. The castoreum and oud are still there but balanced out by the sweet amber. And this amber note is enchanting. This is one of those fragrances that I wear and while I'm doing something a movement of my arm or change in the air current will bring the scent to me again - and every time I think how wonderful this scent smells. I would definitely recommend sampling this one, do not blind buy as this fragrance's opening will turn some people off. For me, it's one of my favorites. Longevity is excellent - 12+ hours. I would say sillage is excellent, you don't need to spray too much to get a lot of performance. 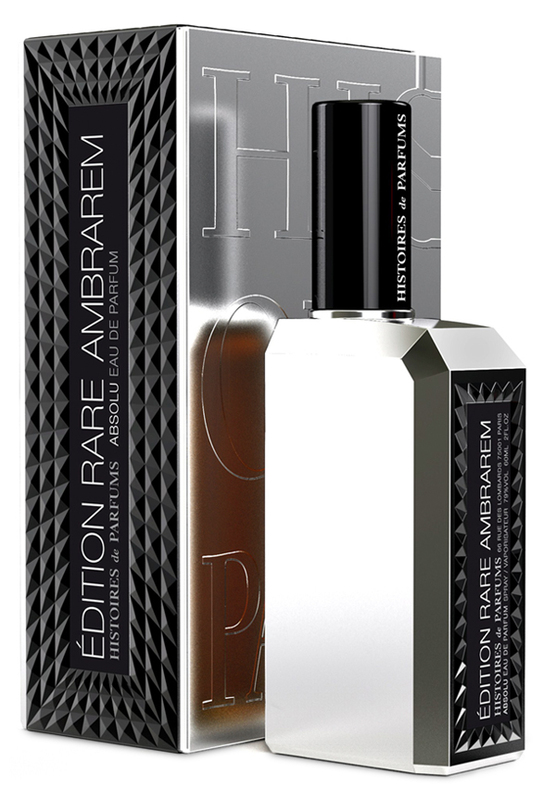 Wearability is where Ambrarem fails, it's hard to justify a bottle of this since the notes (castoreum and oud) can be a real turn off for some people. Also, I live in a fairly warm-weather location that doesn't allow for wearing "heavy" fragrances like this very often. There was a really big hype about this fragrance on youtube and I was dying to test this out. Finally yesterday my samples arrived and tested it on my skin. The opening is a sweet and strong floral scent with some leather (petroleum like) in the background. The floral note is saffron at the start but saffron fades away slowly and give her space to the powdery iris. You can smell both anyway, but saffron was stronger at the opening but in the dry down both are at the same power level. The leather note smell like modern leather based fragrances such as "TF Tuscan Leather" and it's always in the background. you can smell it easily but it's not in front and bold. I can't smell any oud or animalic notes at all. The scent gets a little darker and a little more leathery smoky in the mid, but again it's floral notes (specially powdery iris) that dominating. In the base I can smell a sweet ambery/vanilla scent with leather, iris and saffron all in the background. This fragrance kind of remind me of "Tom Ford for Men Extreme" specially in the base so if you like that, you may like this one too. Projection is very good and longevity is around 12 hours on my skin. A solid fragrance but something that I've smelt before. there is nothing new or unique about it at all. Marine rot and forest fire - what not to love? I had a blotter with Montblanc Legend in my pocket from this morning. After spraying some Ambrarem on my wrist, I took out the blotter and realized that Ambrarem is niche at its finest. Why? Because in comparison to a mainstream scent, Ambrarem is very very difficult to enjoy. Give it to your average Wal Mart shopper, and they will recoil in horror, yet the perfume community is raving about it. What not to like? It is truly marine in a way that only a beach can smell after a storm subsides, and the tide goes out, leaving marine life to rot under the sunlight. May not sound pleasant, but the only people who would not feel a sense awe at this natural beauty, are those who have never seen the sea. Once the ocean calms down, the oud comes out. It is smoky, resinous, and acts to put the marine accord on solid ground. The scene which comes to mind involves camping somewhere along the Pacific Northwest Coast, getting stranded in a heavy downpour, and then trying to start a fire to warm yourself and dry your clothes. This scent has a strong masculine element to it. I am having a hard time figuring it out, but it is something which reminds you of an old toolshed, complete with gasoline and greasy, oil soaked rags. While not exactly pleasant, it is complex, evocative, and very original. It was love at first sniff, but after buying a bottle, I realized that I have a very hard time wearing it as it is overbearing regardless of how much you apply. I give it an 8/10 for everything except wearability, which I give it a 2/10 for. There are no member images of Ambrarem yet. Why not be the first?